NORWAY — Armand Alphonse Adam, 91, of Norway, formerly of Berlin, N.H., passed away Sunday, Feb. 12, 2017, at Dickinson County Healthcare System in Iron Mountain. Armand was born July 19, 1925, to Felix and Eva (St. Amand) Adam in Berlin, the fourth of five siblings, Heloise, Yvette, Romeo, and Arthur, all preceding Armand in death. 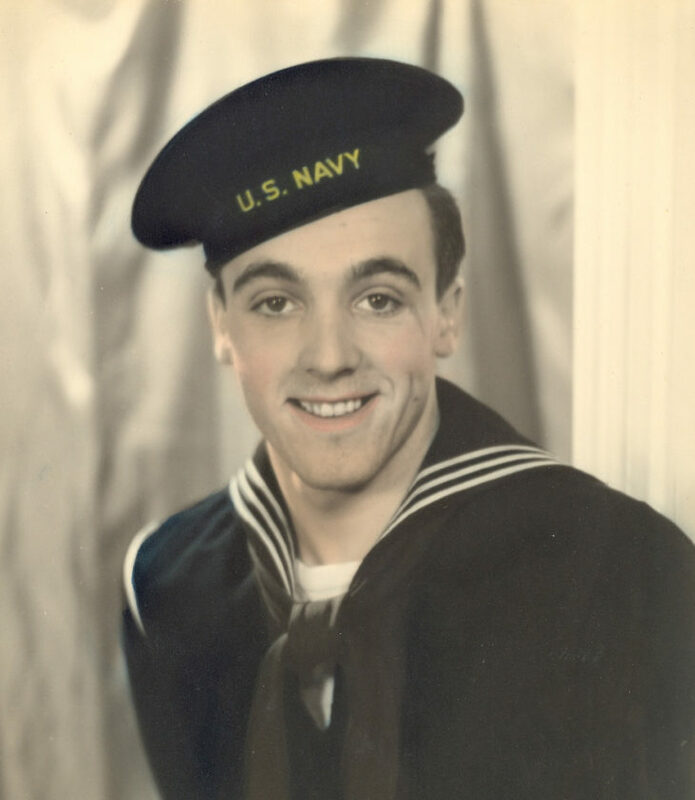 Armand served his country faithfully in the Navy during World War II as a Shipfitter on LST 501. He was at Normandy, France for the D-Day invasion on June 6, 1944. His ship was grounded at Omaha Beach when the tide went out at the height of the battle. From there, his ship sailed to the Mediterranean Sea where they participated in the invasion of Southern France on Aug. 15, 1944. They then sailed back to the United States with a full passenger load of German POWs. After refitting, they headed south through the Panama Canal, crossed the Pacific Ocean to their destination at Okinawa, Japan, engaging in a series of battles from April 1, 1945, through June 22, 1945. He and his shipmates served with dignity and without reservation. After discharge from the Navy in 1946, Armand started a career as a welder, working at the Portsmouth Naval Shipyard for a time before being hired as a welder at Brown Company in his home town, where he worked until his retirement in 1987. In 1950, Armand met Gloria Burns at a dance, fell in love, and they were married on Jan. 27, 1951. She preceded him in death in May 1997. He was an avid golfer and enjoyed spending time with his family. In December 2014, Armand moved to Norway to be near family and enjoy his great-granddaughter. Armand is survived by his daughters, Beverly (Butch) Gagnon of Norway, and Joanne Adam of Flagler Beach, Fla.; his grandson, Jeffrey (Sarah) Gagnon and his great-granddaughter, Claire of Norway; his sister-in-law, Louise (Arthur) Adam of Berlin, and many loving nieces and nephews. A private memorial service will be held for Armand at Evergreen Meadows in Norway, then a full military service and burial will be held in the spring in Berlin at Mt. Calvary Cemetery. The family would like to thank the staff at Evergreen Meadows, Dr. Paul Hayes and his staff, and the nurses at Dickinson County Healthcare System for their kindness and caring. In lieu of flowers, donations can be made in his name to St. Jude Children’s Research Hospital at www.stjude.org, or call 1-800-805-5856. Condolences to the family of Armand Adam can be expressed at www.ernashfuneralhomes.com.